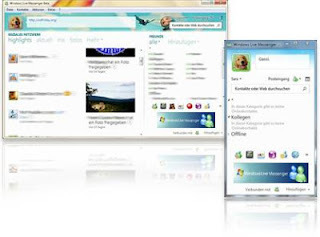 Using the free Windows Live Messenger from Microsoft, you can communicate with your friends through free VoIP phone calls; send text messages and video calls. Moreover, you will have the ability to have a conference call. The windows live messenger is much clearer than Skype, uses minimum bandwidth, and is expandable with plugins for other functions. Google talk is a fair solution from the search engine giant. It comes with many features and it has a very sleek user interface. Furthermore, you can write, and call your friends even from other chats such as ICQ or AIM. In addition, it is also possible to Google email a certain account through Google talk and they will receive it. Google talk can be an alternative because of its features and simplicity compared to Skype. A combination of both Skype and G-talk is the best especially if you work online. Nimbuzz is truly an all-rounder software. Through it, you can communicate with different contacts from ICQ, Windows Live, Facebook, Yahoo and Google. Moreover, you can call them. It does not use a lot of bandwidth and it has many exciting features. However, it can be a little expensive because it requires a large space disk and it has many functions. However, after installing, it will work as it is supposed. With Nimbus, you have a reliable all-rounder application that you can use to communicate with almost any other show Negroes and thereby even allowing conference call between the different clients. 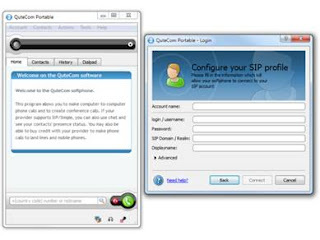 With QuteCom (Formerly WengoPhone), you have almost identical free software to Skype. The application is like the big brother to Skype.it offers, voice and video telephone call, conferencing communication and text charting are possible even to other charting application such as ICQ, AIM, MSN, Google Talk and Yahoo. The voice quality is excellent and you do not need to fear when comparing the two by yourself. It is clear that there are two applications, which are Nimbus and QuteCom (WengoPhone), offer great competition to Skype. Moreover, they offer great functions and good quality than Skype does. This is evident through the third-party policy from Skype’s terms and conditions. However, none of the Skype alternatives gives you the ability to communicate to Skype. This can be a problem if you don’t have any other method of communication but it is very rare. Since there are many Skype users that use it and another application, it would be good if you chose the one that allows voice and video calls.